Omni Interlocken Hotel is the ideal place to host a Denver wedding. 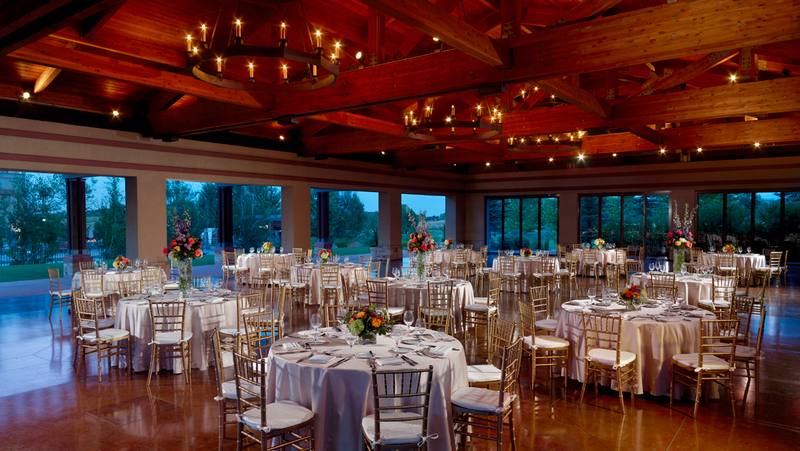 With two elegant and grand ballrooms, the Interlocken and the Centennial, and a variety of beautifully manicured outdoor event locations, the hotel is perfect for all your wedding celebration needs: from engagement parties, bridal showers and rehearsal dinners to the perfect ceremony, reception and farewell brunch. For more information or to schedule a consultation, please contact our wedding specialist at (303) 464-3256. If you're planning an outdoor wedding, we're the perfect venue. Our beautifully landscaped garden and pool area with cascading waterfalls is ideal for an outdoor ceremony or reception. 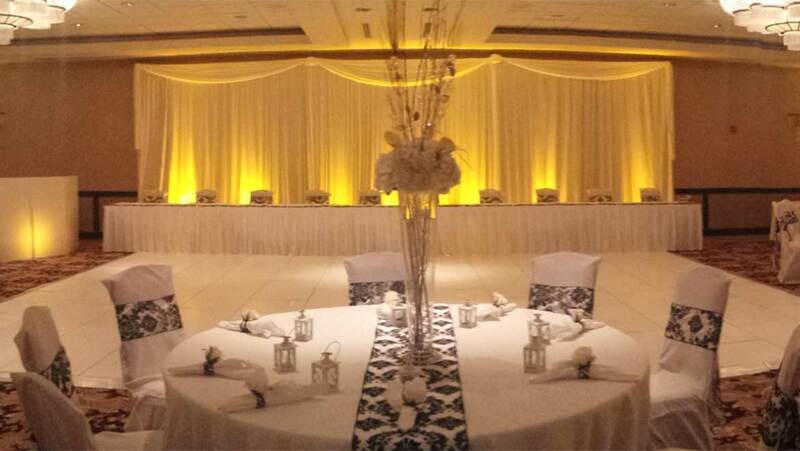 The Centennial Ballroom can host up to 250 guests and offers an intimate setting for your wedding receptions. 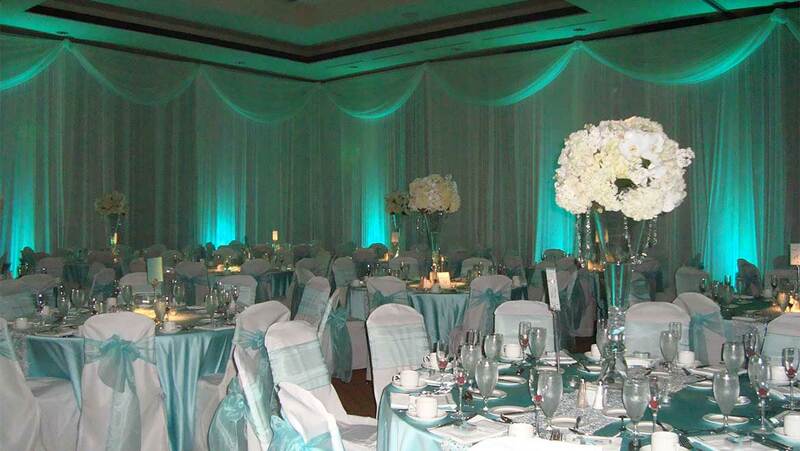 For grand affairs, the elegant Interlocken ballroom can accommodate up to 600 guests. Host your rehearsal dinner in this casually elegant atmosphere with assortment of exquisitely prepared local fare. Meritage features flavorful, multi-course meals perfectly paired with a wide array of wines. Relax with your wedding party or enjoy a couple's massage at one of the Denver area's best-loved day spas. Choose from a full range of health and spa treatments sure to leave you feeling relaxed and refreshed before your big day. While in town, Red Rocks Park is a must-visit. Consistently ranked as a top venue in the nation for both audiences and performers, Red Rocks amphitheater hosts summer movies and fitness classes in addition to concerts. Check out the surrounding 640-acre park with hiking and biking trails set against the foothills of the Rocky Mountains.